This website is addressing experts at operators, software providers, integrators and hardware vendors. 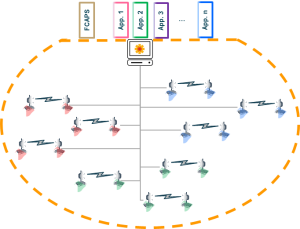 It promotes an open SDN ecosystem for the mobile backhaul network. Traditionally, transmission hardware comprises a firmware that defines features and functions of the device. 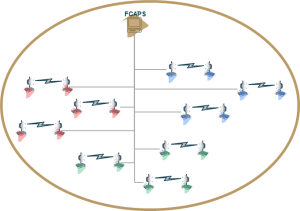 Management is either done locally by a proprietary element manager or remotely with the vendor’s network management system. This closed system provides only little innovation and poor integration into the operator’s tool environment and network. 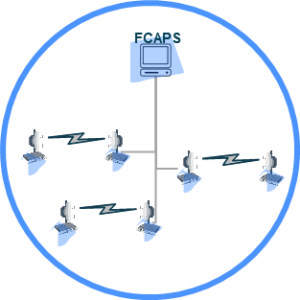 Umbrella network management systems have been used by some operators. Automated data transfer along the planning and configuration process is increasing efficiency. On the other hand, duration and costs of homologation processes are increased by adapting proprietary management interfaces of device and umbrella management system. Over the years, these operators created a strong dependency to the provider of the umbrella management system. ONF TR-532 v1.0 describes a vendor-agnostic information model for managing a microwave’s radio interface and transport resources. This allows connecting all types of microwave devices to an open source SDN controller and the controller exposing a common open application programming interface to the north. This truly open microwave API shall be base of all kinds of applications of all kinds of software providers. In meantime, the originally microwave centered activity expanded on Ethernet PHY, dis-aggregated optical Transponders and mediators as further technology specific management interfaces. In addition, the DMIP (Device Management Interface Profile) sub-project at ONF published TR-545 v1.0, for unifying semantics and behavior of the Netconf based southbound interface of the SDN controller. This assures truly vendor-agnostic management interfaces, which are meanwhile applied by several commercially available software tools and applications. See this website for more information about the interface definitions elaborated within framework of the Open Transport Configuration and Control (OTCC) working group of the Open Networking Foundation (ONF) , the envisioned open ecosystem, past and currently on-going activities of AT&T, Deutsche Telekom and Telefonica plus downloadable resources like YANGs, small application’s source code and references on commercially available vendor-agnostic applications.